The Ethiopians [in Israel] will remain in the anomalous situation of both having entered the Promised Land and continuing to wander in the desert. Forty years may not be long enough this time. Anyone viewing the recent clashes between Ethiopian-Israeli demonstrators and local policemen in Jerusalem and Tel Aviv could not help being reminded of similar scenes taking place barely a week earlier in Baltimore. Such a clear visual link between events in two such disparate places cannot but be viewed as further testimony to the power of satellite news and globalized media. We should, however, proceed cautiously in comparing the two situation or reactions of the parties involved. 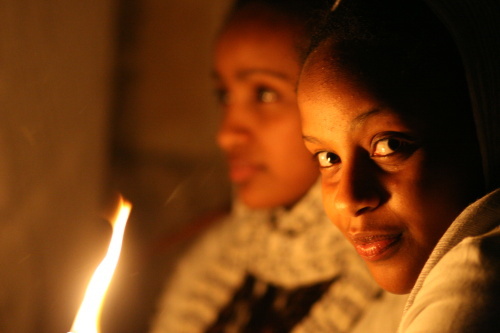 Israel’s Ethiopian population is of fairly recent origin. Beginning in 1977, small groups began to make their way to Israel through Sudan or other countries. (At the time, Israel had no diplomatic relations with Ethiopia’s Marxist military regime.) Dramatic airlifts from Sudan (1984 and ’85) and on the eve of the fall of the Marxist government (1991) brought thousands into the country. After 1991, tens of thousands more arrived. Many of these immigrants spent years in transition camps in Ethiopia while Israeli politicians debated whether descendants and relatives of those brought into the country as Jews also had the right to make aliyah (literally “to ascend”) to Israel. 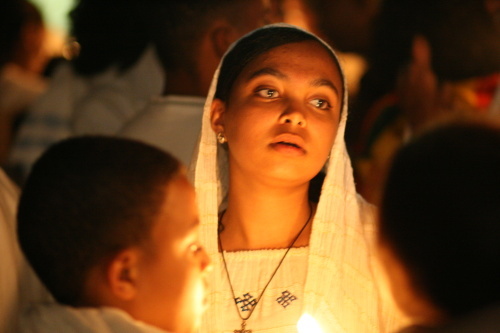 Today the Ethiopian population stands at about 135,000, over a third of whom were born in Israel or arrived in the country as small children. Despite plenty of good intentions (and we all know where those lead), their integration (what is called in Israel absorption) has not been easy. While the immediate catalyst for the latest eruption of rage was the beating of an Ethiopian soldier caught on video, there are clearly deeper structural issues at stake. Although there have been clear improvements in school performance, high school completion, employment and almost every other quantifiable measure, Ethiopians still lag behind most of the country in educational achievement and income. Moreover, while the percentage of Ethiopians who serve in the military is higher than for the general population (and in Israel this is considered a badge of success), the percentage who complete their service is comparatively low. Despite official rulings in their favor, large parts of the powerful rabbinic establishment still question the Jewishness of the Ethiopians. Almost every school year begins with “crises” as one school or another refuses to accept its planned number of Ethiopian students. Although it is often said that Israel is the first country to bring in people of African descent not to enslave them but to grant them equal rights as citizens, the truth is much more complex. 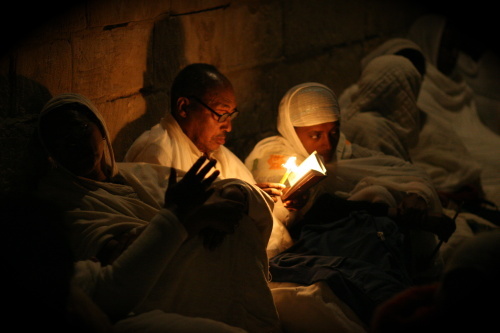 Ethiopians were brought to Israel not merely to have equal rights but to be part of the dominant Jewish majority. Perhaps the most persistent testimony to this is that virtually any statistic available from government and nongovernment sources regarding the Ethiopians compares them not with the population as a whole but to other Jews. 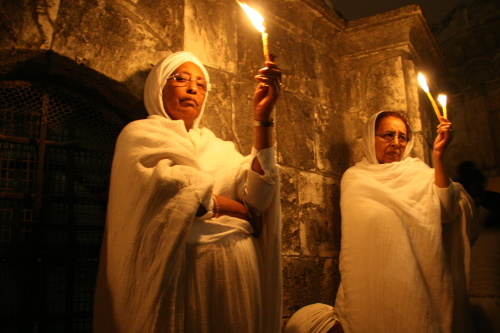 For purposes of comparison, the 20 percent of the population that is Arab is invisible, and the success or failure of the Ethiopians is measured against only their Jewish counterparts. Thus while the campaigns on behalf of the Ethiopians are often voiced in terms of universal human rights, they often have a much narrower focus: equality with other Israeli Jews. According to polls, Israelis overwhelmingly acknowledge that Ethiopians are discriminated against. This is commendable and in sharp contrast to the United States, where denial about racial discrimination is still common. At least in part, the Israeli anti-racist consensus is convenient because it limits itself to Jewish Ethiopian-Israelis. Thus one can be anti-racist on the one hand and on the other ignore or take part in the ongoing pernicious discrimination against Arab citizens of Israel (leaving the territories out of the equation for the moment) or African migrants. Prime Minister Benjamin Netanyahu, who infamously warned of “droves” of Arab voters going to the polls during the recent election, was quick to chime in condemning the latest mistreatment of Ethiopians. “We must stand together as one against the phenomenon of racism, to denounce it and eliminate it,” he said. Similarly, the Orthodox Sephardi party Shas has been among the most welcoming to the Ethiopians, while depicting African migrants as infiltrators who pose “no less a threat than a nuclear Iran,” as onetime party leader Eli Yishai put it. In a 2012 poll, more than 50 percent of Israelis surveyed agreed with the statement that African migrants are a “cancer on the body of the nation.” The same poll indicated that fully a third condoned violence against the migrants. Small wonder that at least some of the anti-Ethiopian violence in Israel appears to begin when police mistook Ethiopians for the “wrong” kind of African — Sudanese or Eritreans. 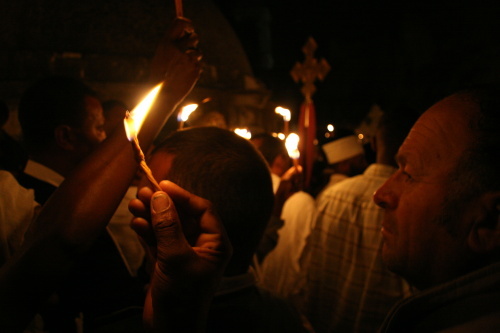 That said, there is no arguing that the situation of Ethiopians in Israel is difficult. Many suffer from daily slights and discrimination. Moreover, they are underrepresented in the country’s universities and key industries and overrepresented in its jails and prisons. Many are stuck in Israel’s periphery in small towns, which have poor schools and limited employment opportunities. If past incidents are any indication, the latest uproar will quickly pass after the requisite handwringing and public statements. The policemen involved have already been either fired or suspended, and the political leaders have voiced their condemnation. The Israeli Ministry of Education immediately put forward age-appropriate lesson plans on racism and violence. Doubtless money will be found for cultural awareness programs, for recruitment of Ethiopian officers and for research, which will be call for more programs, more recruitment and more research. The beating of the soldier will be added to the cumulative song (think “There Was an Old Lady Who Swallowed a Fly”) of injustices done to Ethiopian Israelis, all of which will be dutifully recited the next time their mistreatment becomes public. Meanwhile, the Ethiopians will remain in the anomalous situation of both having entered the Promised Land and continuing to wander in the desert. Forty years may not be long enough this time. Jewish religious scholar Rabbi Yisroel Dovid Weiss explains why he believes that Israel as a state is not legitimate and why he opposes the occupation of Palestine. ADL documentary recording the unprecedented mission and rescue of exiled Ethiopian Jews to Israel in the early 1980’s.